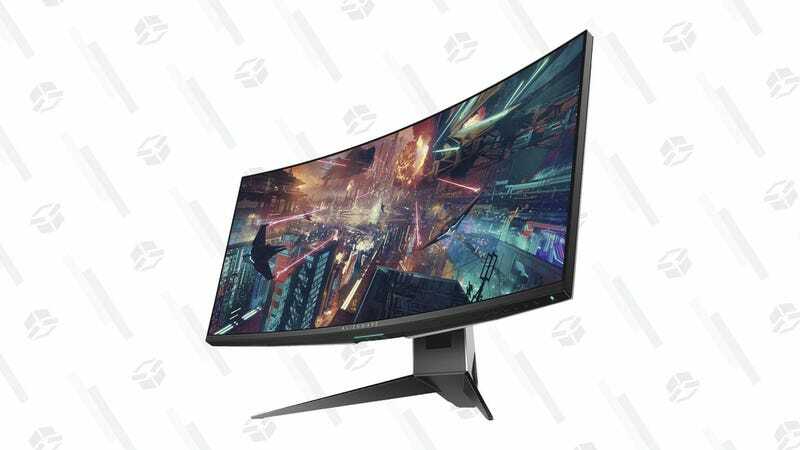 This $675 34.1-inch Alienware AW3418HW curved monster rocks a 21:9 aspect ratio, up to 120Hz refresh rate, 4ms response time, Nvidia G-Sync technology, and most importantly—RGB lighting. The specs aren’t ideal for FPS titles, like Call of Duty or Overwatch, but for non-competitive gameplay, this is a good choice. RPGs and puzzle games would look awesome on it, FYI. Just make sure to use the promo code JOY4TECH at checkout.